The Management of University of Nigeria, (UNN) has scheduled the Computer Based Screening Test for 2017/2018 Supplementary Postgraduate Admission. The Screening Test is scheduled to take place on Wednesday, 28th March 2018. NOTE: All Candidates who did not participate in the previous screening Test due to lack of Information on the Test date, they are allowed to Participate in this screening Test on 28th March 2018. Venue: Nnamdi Azikiwe Library, U.N.N. Please Note: The Exam Venue is Nnamdi Azikiwe library, University of Nigeria, Nsukka. All Candidates Are Ask To Come Along With Their Summary Form D3 And White Sheets Of Paper And Pen. Please I’m a candidate for the PG program (masters to be precise). And I participated in the supplementary CBT test on 28th of March, 2018. 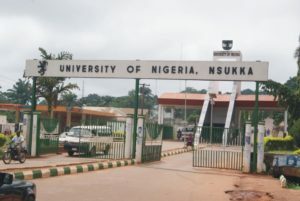 Before now, I have submitted already, Transcript from University I graduated from to Registrar UNN. My question now is, “Has the result for supplementary CBT test on 28th March, 2018 not yet out and admission not yet given?? Because this oncoming Supplementary CBT test troubles me, as if the one I had already written is not valid. Please attend to my question asap. I need to be clarified. Thank you!